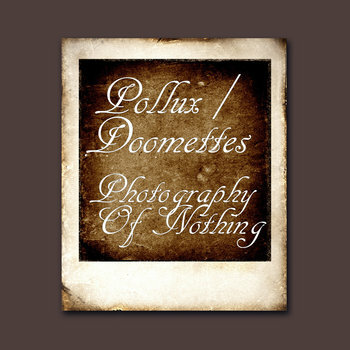 Polux’s Unreal Photography seriously captured a overwhelming style of electronic ambient. It is the music that is new and yet full of a reminder of another time. Might it be the eighties full of soft core ambiance that would decorate images of nature movies? Might it be videos of flowers, African Savannah’s, wild life, a sailboat on still water? Whatever your visions add to the music it is clear that these tracks by Pollux are of a cinematic kind, highly absorbing and relaxing. ‘Luminous Flowers’ is just as beautiful as its title suggest, creating an imaginary soundscape in which beautiful flowers grow and bend in a summers breeze. It’s such a pretty lush and full sounding piece, while keeping itself surprisingly minimal, leaving enough space for your own interpretations and imaginations. My Drone Your Life’ is nothing else than a pure disarming beauty, deep, full, warm and calm until great perfection. Just close your eyes and dream away on this very reliable sound output that is mind stimulating, electrifying at times with its subliminal suggestions for trip twists in the pretty dreams that come up, while listening to this relaxing work of art. The last Pollux track on this split is yet another amazing example of an ambient master mind at work. It is called ‘Winter in Autumn’ and just like the title suggest, sounds very bizarre, creating a half awake half asleep zone that is open for matrix style flabergasm. This mysterious music is on the edge, keeping us in the middle of the borderline of having a wonderful dream or a potentially twist of something life changing, and perhaps mental darkening. It’s intriguing material, perfectly created to cater not just a normal ambient crowd but more a cinematic movie soundtrack for the creative mind. It’s a great story, and in my version there was a beautiful happy end..
It’s then time for Doomettes to take over, which in this case feels more as if we are meeting up with a mythological dream creature that waits behind this crossing of our mental capacities than an actual soundtrack that is left open for our own interpretations. Doomettes sets a very personal atmosphere which is just as magical as is the person behind this project. After a brief ‘hello’ the individual sets the tune with a warm in taking melody played by hand on a fuzzy guitar. After being warm welcomed and having received the time to get accustomed to this personal hemisphere, Doomettes sings in his most unique voice as if he is a creature that you have known for years, very friendly, eccentric but in perfect harmony with the laid-back doompop that can be witnessed here. From here Doonettes brings ‘Winter Falls’ which goes perfect with a settled down heartbeat, a healthy individual expressing his own world of music in which as a listener we can feel very welcome in. The electric guitar is more roughed up, giving shape to a more strong and dramatic vibe that ultimately seems to fuel the ears with sentiment, power and respect. There is nothing like Doomettes, and it’s the realness and strong personality that is captured so passionately in these tracks that makes this to me one of the most reliable and trustworthy projects that are keeping it trustworthy and real. Besides this, the melodic expression is simply very nice to shiver in, calming down anyone who cares to take this wonderful nifty relaxing ride of a personality. ‘Drone For Three Voices’ is just as epic, heavy, warm, cozy as well as dramatic. It’s the music that you have to feel, giving you the pretty and beautiful part of heaviness that feels like a friend that pushes you up the hill when you think you can’t make it, the helping shoulder to lean on while your legs are weak. This entry was posted in acoustic, ambient, audio collage, avantgarde, chill out, drone, electronic, experimental, folk, soundscape and tagged ambient, black folk, dark ambient, doom, Doom Pop, Drone, experimental, folk. Bookmark the permalink.